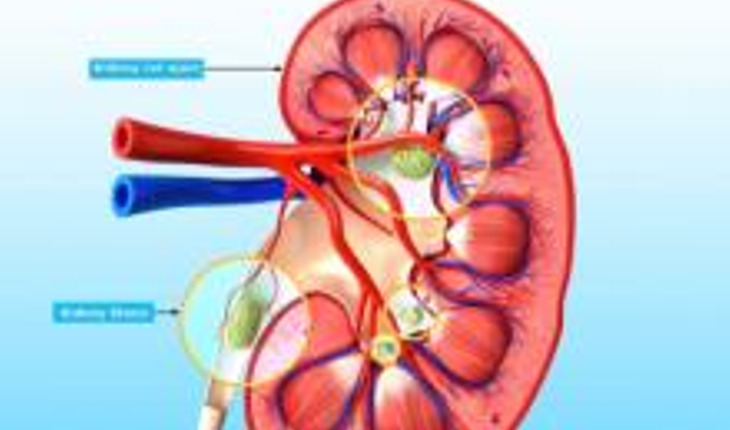 Researchers in France have hit on a novel method to help kidney stone sufferers ensure they receive the correct and most effective treatment possible. Kidney stones represent a major medical problem in the Western and developing world. If left untreated, apart from being particularly painful, they can lead to renal failure and other complications. In many patients treated successfully, stone recurrence is also a major problem. Clearly a more effective pathological approach to diagnosis and treatment needs to be identified to ensure successful eradication of stones. A release from the International Union of Crystallography reports that worldwide approximately 1,7000 births are affected by cystinuria, the most frequent cause of stone formation among genetic diseases. Although stones are treatable, many therapies exist with varying results depending on the type of stone and severity of the incidence. Cystine stones, of which there are two forms, are composed of tiny micrometre-size crystallites, which are made up of a collection of nanocrystals. Both forms of cystine stone behave in a particular way under different chemical conditions induced by the drug or drugs administered. Using crystallographic techniques, Dominique Bazin, Director of Research at Université Paris-Sud 11, France (now at LCMCP-College de France) and co-workers were able to understand how some of the methods employed to medically treat the stones have different effects on the stone, from reducing the size of both nanocrystals and crystallites to changing the shape and space occupied by the crystallites at the macroscale. Clear evidence is now available to help doctors diagnose and prescribe the correct drugs for patients with kidney stones more successfully. Trials did indicate, however, that a lot of the success that can be seen in recovery rates and non-recurrence does depend on the patient also complying with the drug regime prescribed.